I get that. Part of me just thinks it would feel and watch as more natural if the animation style was closer to like, how Friends was. But I understand it's a marketing point, basically. Got some former president syndrome there. I don't see many hate on Biorockdude other than the Nuvaboob+Rahkshi Head combo trend. And why did you mention Dark Master? He's hardly known in the Lego community and you seem to join and support his content after his incident on the boards. The resemblance is uncanny. My boys, I think we're staring at a CoNsPiRaCy. In a way I liked that 2006-2009 all utilizes an Inika build, because it put all of these characters in a similar scale, articulation etc. granted, I do not like the excessive overuse of things like piraka thigh armor, the standard limb pieces etc and think we should have gotten MUCH smite in the way of new molds for those kind of elements— but I was okay with the complexity style of those sets and how they were built. Like no one else ever said that before. The kids call it licensing. Skull Slicer was the coolest Skull Villain! I like Pohatu G2's personality change from G1. I miss galidor and the bounty of hyper specialized pieces it had. Now all the hyper specialized stuff is in duplo and cmfs but it feels like now the cmf suits are designed for reuse rather than something special. Take the cactus suit. Obviously that's there for when lego reintroduces a desert theme even though it's totally unnecessary since you can snot build cactuses out of ordinary parts. Just design a textureless hollow cylinder element and reuse it over and over for other things. I've noticed a general lack of specialized parts across all lego themes recently and it seems to do with failing sales. Heck brickheadz is a theme literally built around the concept of no hyper specialized parts. Too many afols getting the parts they need dirt cheap off BL, and too many parents knowing it's cheaper to buy parts for their kids there are what's hurting lego's biz. It's looking pretty bleak right now. That or they're bloody expensive to produce nowadays. Now all the hyper specialized stuff is in duplo and cmfs but it feels like now the cmf suits are designed for reuse rather than something special. I can see what your getting from here, but is that somewhat of a good thing? 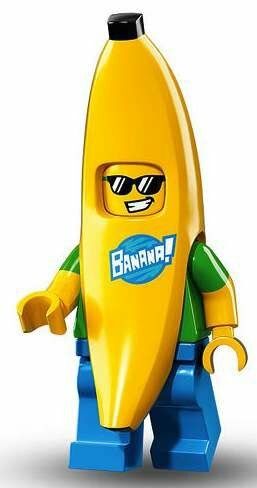 The Banana Suit guy isn't praised too well since the community find it "overdone" with the suit trend, yet expert mocist reverse-engineer this piece for various of builds despite the printed "BANANA!" stamp. Jumping 2 years later, we see a completely different Banana Suit guy, but with no "BANANA!" stamp, which make it more valued for mocing and collecting. This does put the OG Banana Suit Guy to shame, yet it gives people another variant grasp on. the old designers from the 70s, 80s, and early 90s would've thought of but no one at lego can today. And you say, Likus, it's a good idea to give kids the variety. Now boys can have a ninja themed bike and a batman themed bike and a creator bike and a technic bike and a nexo knights bike. I say it's too much. It's maddening how much filled yet wasted space there is on a lego aisle. Abit trivial of here, yet older fans like me defiantly get tired from these repetitive concepts every year unless they pull of an original design like a Hover Jouster. Yes any new mold is expensive considering the factories have to pump out astronomical numbers of these. It's a good thing for moccists to get these upscaled objects to build more accurate mocs. I don't know if having a stamp will make the first banana man more collectible or not, that's for the market to decide. 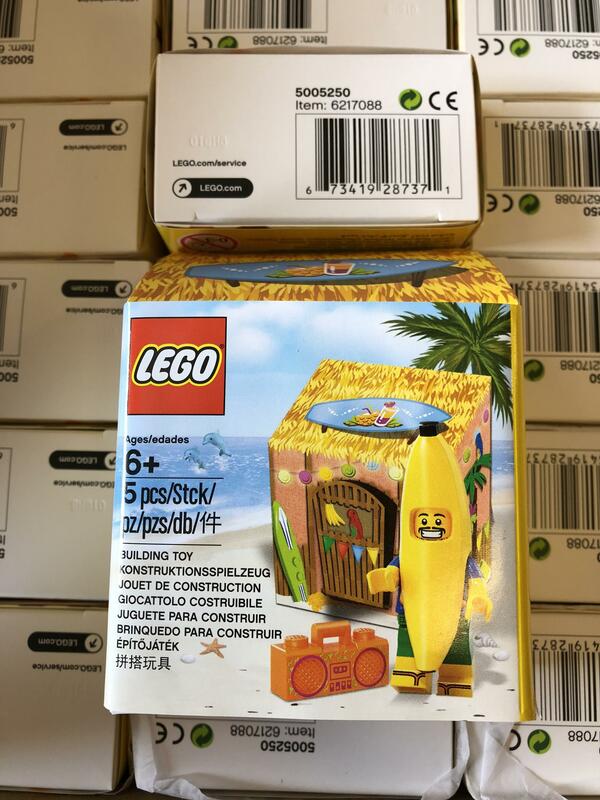 I think the price of the banana suits will start to go down like the hotdog suit as lego reuses the mold as say fenders on a car. It's like how the super common printed roboriders heads are cheaper than the rarer printless ones. It takes 15-20 mins to rub a print off a roboriders head with a cheap eraser. Lego's prints nowadays are poorer and it takes even less time to remove a print. You see, I realize that the crescent shape of the banana suit would make an excellent car fender. The element designer could've used this principle to his advantage and made the curve of the banana match the diameter of a lego tire. Then you have an all-purpose crescent to use on anything. 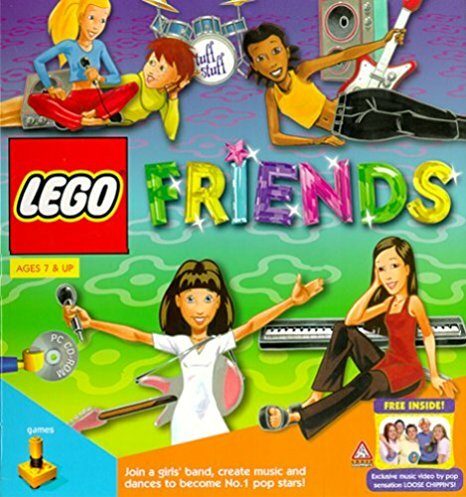 That's something the old designers from the 70s, 80s, and early 90s would've thought of but no one at lego can today. Everything has to connect. I noticed another mistake with the recent brickheadz rectangular glasses. There is no recessed hollow space inside to accept lego windows and thus no way to add glass. Again, wasted opportunity. And I see these problems not just with elements but entire themes where every one has to have X number of mechs, Y number of helicopters, and Z number of cars. And you say, Likus, it's a good idea to give kids the variety. Now boys can have a ninja themed bike and a batman themed bike and a creator bike and a technic bike and a nexo knights bike. I say it's too much. It's maddening how much filled yet wasted space there is on a lego aisle. Sorry, rant over, but these are the real problems that need to be addressed.